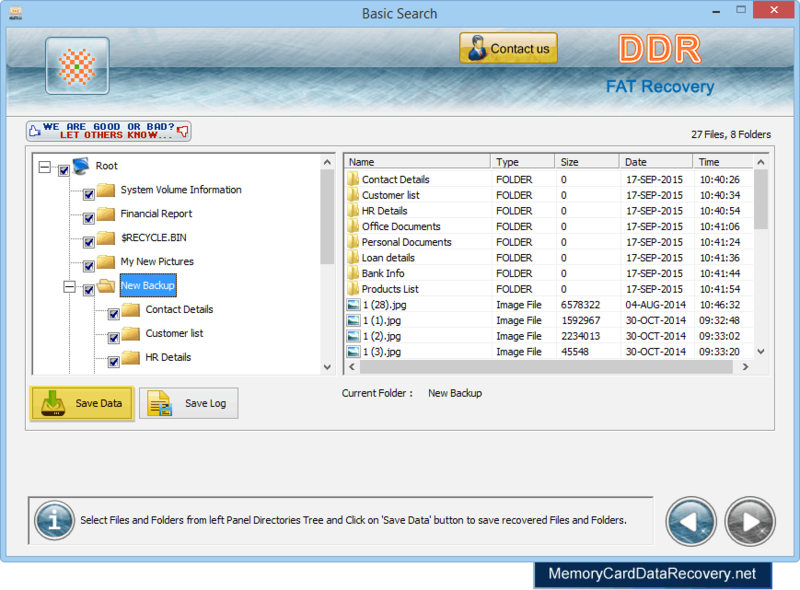 Select any one searching mode to restore lost data files and folders. 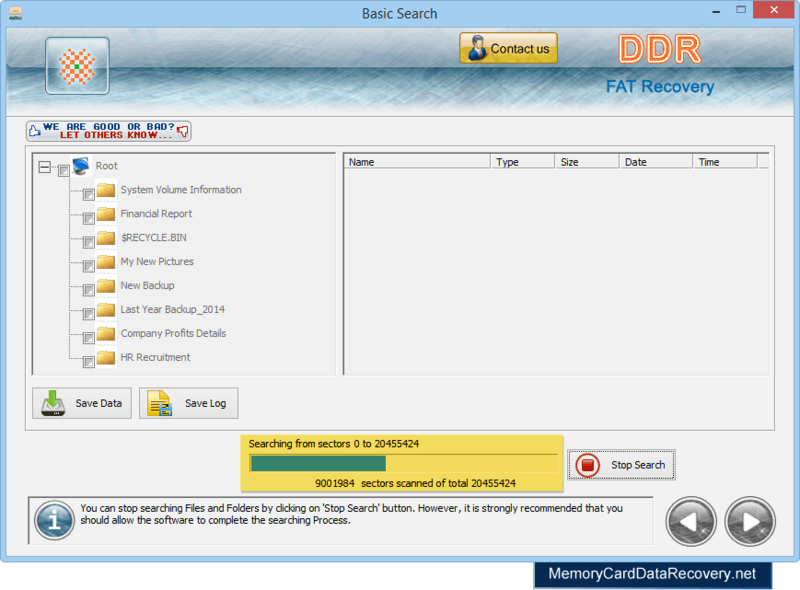 Select drive from left panel and click 'Next' button to start recovery process. Progress bar displays the status of disk scanning process. 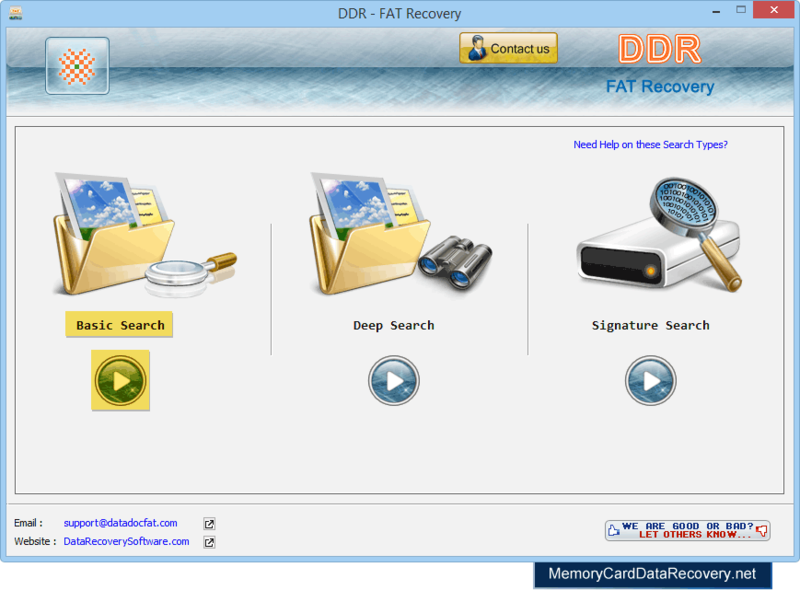 Data recovery process has been completed successfully. 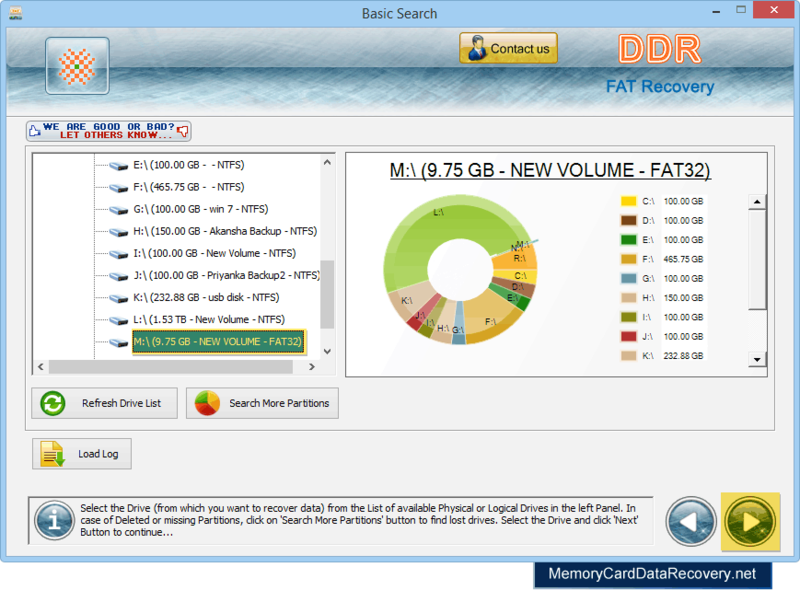 To save recovered files, select data folders and click on 'Save Data' button.